A new report released by Statistics Canada on Wednesday shone some harsh morning light on Canadians’ sleep habits. The study looked at more than 10,000 Canadians, between the ages of 18 to 79, over a six-year period. 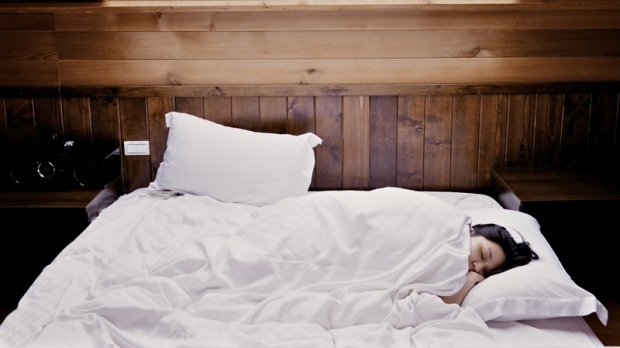 The report provided estimates of the duration and quality of sleep, as well as the percentage of Canadians who followed the National Sleep Foundation's sleep guidelines. 1. More than 50 per cent of women have trouble getting to sleep or staying asleep. According to the report results 55 per cent of women aged 18 to 64 reported troubles falling asleep or staying asleep “sometimes/most of the time/ all of the time.” Only 43 per cent of men reported the same troubles. Lack of sleep, both duration and quality, is associated with obesity, Type 2 diabetes, cardiovascular disease, injuries, death from all causes, depression, irritability and reduced well-being, the researchers said. About one-third of those surveyed slept fewer than the number of nightly hours recommended for optimal physical and mental health. “This group also experiences poor sleep quality more frequently than do those who sleep the recommended number of hours,” the researchers said in their report. Adults aged 18 to 64 should get seven to nine hours of sleep, while anyone older than 65 should get between seven and eight hours. Statistics Canada found about 40 per cent of men and 48 per cent of women didn’t consistently have a refreshing night’s sleep. They also found that one-third of the responders had trouble staying awake during the daytime. Canadians are getting about an hour less sleep than they were in 2005. Between 2007 and 2013 Canadians got an average of 7.12 hours of sleep. That’s in comparison to the blissful 8.2 hours we got back in 2005. Factors that are often linked with insufficient sleep include exposure to artificial light at night, caffeine consumption, work demands, social commitments, and family dynamics, according to the researchers. Women slept about 15 minutes more than men according to the report results. On average women got 7.24 hours of sleep, while men only got seven hours. Can cuddling up to man's best friend help you sleep better?